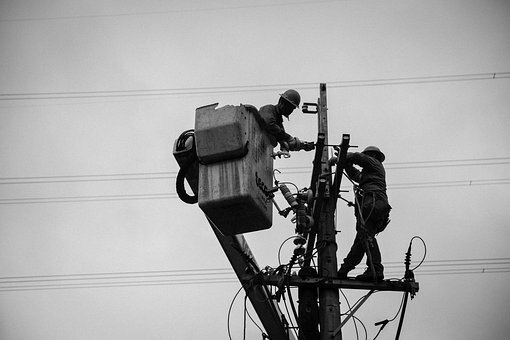 Field service is everybody’s bane, and more so for cable companies. Inability to get through to a technician who can understand the issue, the endless wait for the technician to arrive, the technician not having the materials to solve the issue, and timely service is all-too-common pain points for customers, regardless of the industry. The field service operations of a cable company are more than repairs. Cable workers conduct a wide range of activities in the field, ranging from field tap audits to QC inspections and from sales and marketing to payment collection. Each of these tasks requires extensive documentation, access to data, data entry, scheduling, and coordination among several team members. When the enterprises deploy an artificial-intelligence enabled and algorithm-powered automated system which captures data on the fly, populates most of the fields in a form by identifying the correct information or calculating the figure, prodding the users with the most likely suggestions, and so on, the overall accuracy improves and the propensity for mistakes reduces. Such an automated system spares technicians from manual, tedious tasks such as data entry, saving their time and energy for their core competence. The technician, instead of wasting their time for non-productive activities, could focus on their core competence, which may be speaking to more customers or resolving more issues. For a cable company extensively into field service, the biggest benefit automation can bring about is a reduction of Windshield time or the time the technician spends on the road, moving from one service stop to another. Manual scheduling invariably results in the technician running around in circles, in a role where time is literally money. 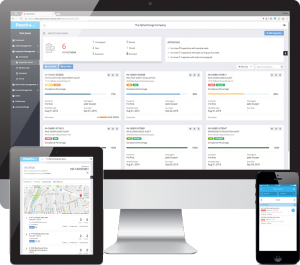 A smart automated field service optimization solution, powered by intelligent algorithms and contextual awareness, go beyond literal scheduling and works to minimize windshield time across all services, factoring in all scheduled jobs in a given day or week. Empirical evidence suggests automation to reduce 3-5% of the windshield time. Projected across a 200 person field service workforce, this works out to about 3,000-5,000 hours of savings for a year. Assuming a fully burdened rate of $60/hour, the annual savings are anywhere between $180-$300,000 a year. No-fault-found (NFF) dispatches are a common occurrence in field service. In NFF, the matter resolves itself before the technician reaches the spot, or the glitch could easily be resolved without the technician having to travel all the way. An automated solution, especially one with IoT capabilities, ensures better diagnosis and fault detection capabilities to the system. The call centre personnel could perform a basic diagnosis check with the aid of the powerful and automated system, to ensure the problem is indeed serious and warrants a truck roll to the location. Issues such as a loose connection of cables or other basis faults can easily be solved. Effective NFF despatch reduction requires an automated system as a basic tool. However, the system also needs to be beefed up by an effective knowledge management system which aids the call centre executives. The on-call technicians and call centre agents also need adequate training. Again, empirical evidence suggests a saving of about $100 – $175 per dispatch, for the investment. First visit completion rate or first call resolution (FCR) depends on empowering technicians with the required tools. Such empowered technicians could resolve issues at the first visit itself, without having to return another time for want of required spares or tools. The direct costs of such return visits is often as high as 24%, and the indirect costs of unhappy customers are much more. Customers not only have to put up with a longer downtime but also make sacrifices to wait and attend on the technician another day. Pre-empting repeat visits requires better training, equipping the technician with better tools, and an efficient truck store management to procure spares easily and on-the-fly. Above all, it requires a sound platform and a strong set of diagnostic tools, wherein the person making the service request could aid with the diagnostic of what goes wrong. 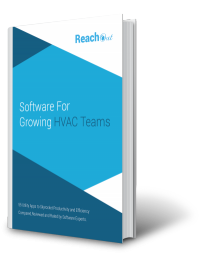 A field service enterprise with 100 technicians working on six dispatches per day per technician could save a whopping $3.million annually, by upping their first visit completion rates. A remote resolution could eliminate the need for a field service technician completely. The on-site technician at the client end or even a layman could connect with a smart collaborative system, and take instructions from a remote on-call technician, in real time to fix the issue. If the system is equipped with virtual reality or augmented reality capabilities, the on-site head has it even easier, with the diagnosis and resolution becoming self-explicit. Improving remote resolution requires a seamless integration of remote diagnostic capability into the workflow of the agents resolving the issues. The success of remote resolution depends also depends on such a system being backed up by a robust collaborative platform, the availability of a highly mature set of diagnostic tools, and a front end interface which is hyper-easy to use. An intuitive UX, which draws on the power of simplicity, and make everything self-explicit is a key prerequisite for the success of such a system. The Internet of Things, where sensors communicate the health to the connected system, and self-diagnosis for any issue greatly strengthens the options for remote resolution. The investment may be substantial, but it pays itself back in a short while, and the [paybacks are huge. Today’s world is increasingly data-driven. An automated system collects essential operational and other data essential to ensure data-driven operations, and take strategic decisions backed up by the insights of data. An automated solution makes explicit data on operations to pinpoint trouble spots or areas where work is disrupted. It could also make explicit the most common type of errors, the time taken to resolve each type of issues, and more. Decision makers could plan and strategize operations in a much better and informed way, armed with such insights. Developing automated field service systems improves visibility, enhances productivity, and promotes overall efficiency into all gamuts of the enterprise. However, automation is only a medium. It requires an effective solution which leverage the medium for enterprises to get the benefits of automation. As such, cable companies seeking to leverage the benefits of automation would do well to partner with a tech enterprise who is not just competent in the emerging automation related technologies, but is also capable of understanding the business, and has proven their worth in developing cutting-edge solutions for enterprises.